XL 5472 x 3648px 15 Mb. 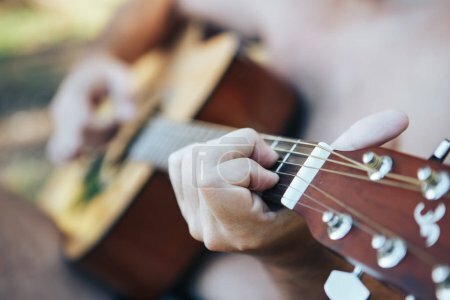 Close up of man hand playing guitar. Man playing guitar. Playing on acoustic guitar outdoor.